You will receive a full PDF report of the roof, photographic evidence of defects & a quote for remedial works. The report is sent via email upon receipt of cleared funds. Any video footage will be sent via DropBox. Our reports are primarily offered to homebuyers as a way of protecting them from un-wanted liabilities in remedial works required after they have purchased the property. 90% of our clients are homebuyers. Standard surveyors will not survey the roof in detail, which means the roof could have issues that you never knew about before you exchanged contracts. Most of our clients use the survey reports to negotiate on the property purchase price, to compensate them for remedial works required after purchase, as highlighted in our report. You will receive a detailed roof survey report, listing any defects or any necessary advice of short term renewal requirements. This protects you against large liability costs after you've already moved in. It'll be the best £245+vat you've ever spent. All reports include photographic evidence. We do not use our survey service to generate remedial work. Our survey service started as an independent business to the roofing company, but tax & VAT laws meant we had to merge the two businesses. 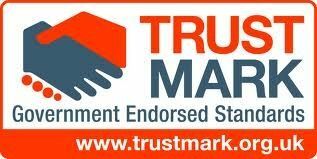 We encourage you to obtain other quotes & you are under no obligation whatsoever to use us for recommended remedial works. Contact our office to arrange your roof survey! We know that moving home is often on tight deadlines, so we can usually get your survey arranged within a few days.